Over 80 per cent of the world’s production of phosphorus (P) is devoted to plant fertilization. Within the next 50 to 100 years, global phosphate resources are predicted to be depleted. Paradoxically, although phosphorus fertilizer is expensive, and although there is only a finite limit to available phosphate rock worldwide, much of the P arriving at wastewater treatment plants comes from arable land. Furthermore, phosphorus entering open water sources has become a source of environmental concern. 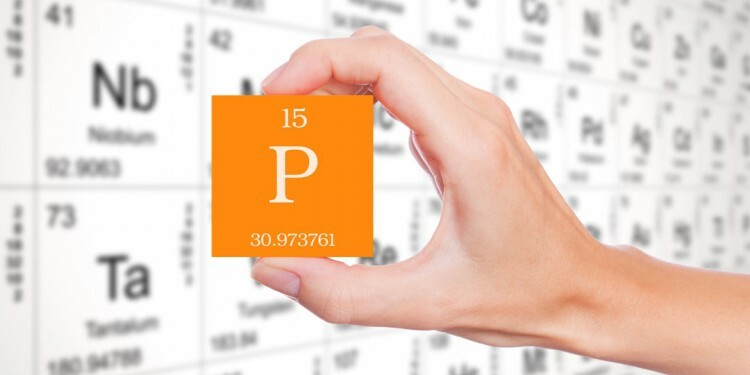 Phosphorus plays several roles in a plant’s life. It is prominent in the structure of nucleic acids—the components of DNA, the carriers of genetic information; and is important in the process that harnesses energy derived from photosynthesis and released by respiration. 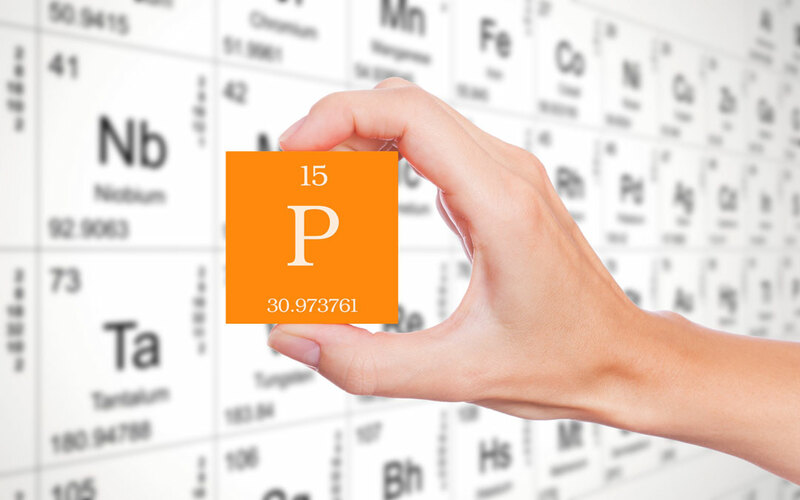 Phosphorus is especially needed to grow cells and seeds. Phosphorus also enhances the symbiotic nitrogen (N) fixation process in legume crops. P-deficient plants show a reduction in leaf expansion and number of leaves because cell production and division rates are reduced. Leaves and stems may sometimes turn dark green or purple. P-deficient plants often have smaller fruit and limited harvestable biomass. Shoot growth is more suppressed than root growth, which decreases the shoot/root ratio, and leaves can accumulate starch and sugars due to the lack of ATP which helps transport phloem. Soils contain both organic and inorganic phosphorus compounds. Plants typically absorb the inorganic forms but under certain conditions, plants may also absorb soluble organic phosphates. Warm temperatures and a near-neutral pH are favourable for organisms which release inorganic phosphorus from organic phosphates. On average only 1 – 2% of organic P is mineralized to inorganic P; but during periods of rapid growth, phosphorus in the soil solution may be replaced ten times or more per day from solid-phase phosphorus forms. Unlike nitrates, phosphates are only slightly mobile in the soil, which reduces plant root exposure to the phosphorus. Also, cool soil temperatures frequently induce P-deficiency because of limited root growth and development. A fungus called Mycorrhizae can form a symbiotic relationship with a plant, greatly increasing the surface area of the roots and assist with phosphorus uptake. Generally, annual crops require a pre-plant application of phosphorus fertilizer; or, in the case of perennial crops, before the fruiting cycle begins. Because of the low mobility of phosphorus in the soil, it is generally recommended that the fertilizer be placed near the plant roots. Band application or plant whole application rather than broadcasting are typically preferred methods of P-fertilizer application. There are various P-containing fertilizers on the market. Research has demonstrated an increased uptake of phosphorus by plants when the ammonium form of nitrogen is applied with phosphate fertilizer. Very little practical difference exists in agronomic effectiveness among fertilizer sources in most cases. However, there are a few considerations: (1) the more acidic fertilizers, like TSP and MAP, may have slightly more effectiveness under conditions where soil pH levels are basic, soil test phosphorus levels are low, and fertilizer rates are high; and (2) the ammonium in DAP can convert to free ammonia. DAP should therefore be avoided on soils with high pH or with free lime. Phosphorus not taken up by plants may be transferred to the soil inorganic pool and immobilized. Inorganic phosphorus entering soil solution is rapidly converted to less available forms related to the presence of iron and aluminum (hydrous) oxides at low pH values, and calcium carbonate at high pH values. Hence, there is an optimal availability of phosphorus in the pH range of 6.5 to 7. The complex relationship with other soil and biological components and the many transformations of phosphorus make an analysis of plant-available phosphorus quite difficult. Crop response is weakly correlated to the total amount of phosphorus in the soil. A meaningful soil test requires an extractant that relates test results with the amount of fertilizer required for optimal production—ideally in a wide variety of soil types and conditions. Numerous extraction methods have been developed, all with advantages and limitations depending upon the soil type for which they have been targeted. Generally, water-based extraction correlates well with shallow-rooted, fast-growing vegetable crops; while methods with complexing solutions, acids, or alkaline buffer solutions are better suited for field and orchard crops. In British Columbia Bray-I, Mehlich-III, Olsen, Kelowna-I and Kelowna-III are frequently used methods. The suitability of the different methods relies on long-term correlation studies that have established relationships between the extraction method, the soil, and crop response. Bray-I has proved reliable in predicting crop response on neutral to acidic soils but it is less effective on basic soils. The Olsen test generally correlates well with crop response on calcareous soils. Mehlich-III has been shown to be reliable across a wide range of soil-crop production circumstances. The Kelowna extraction methods are the last provincial standards publicly developed for soil phosphorus (and potassium) testing for agronomic purposes. Fortunately, the amount of P extracted by each method is often strongly correlated. Phosphorus has no substitute in sustaining life and food production on our planet. Unfortunately, in some parts of the world, the wasteful application and wrongful management of phosphorus have resulted in an environmental epidemic of eutrophication. It is clear that modern agriculture is required to resolve this dilemma and ensure humanity can continue to feed itself while protecting environmental and human health. Copyright © 2014 Modern Media Ltd. All Rights Reserved. Responsive Web Design by Raize Digital.